Christmas Eve Candlelight Service at St. Peter's in Boyd on Monday, December 24th at 4:00 p.m.
Christmas Eve Candlelight Service at St. John's in Cadott on Monday, December 24th at 7:00 p.m.
Christmas Day Communion service at St. John's in Cadott on Tuesday, December 25th at 9:00 a.m.
Our Maundy Thursday Service is held at our sister congregation, St. Peter's Lutheran Church in Boyd on the Thursday of Holy Week. The service begins at 7:30 p.m. and Holy Communion is offered during this special service. Our Good Friday Service is held at St. John's on the Friday of Holy Week. This dramatic service of darkness begins at 7:30 p.m.
Our Easter Sunday Services are at 6:30 a.m. (sunrise service) and 9:00 a.m. Holy Communion is offered at both services. Our Thanksgiving Eve Service is held each year at St. John's. 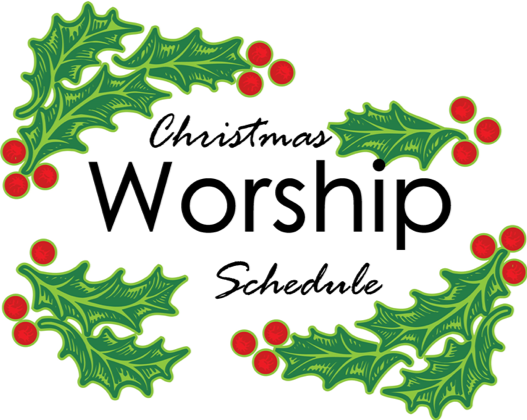 The service begins at 7:00 p.m. and the worship is led by our Praise and Worship Team.